The festival begins on January 20 at 00:00 hours with the raising of the flag to the sound of the massed drums of Gaztelubide, in the old Town Hall, today the Municipal Library which stands on the Plaza Constitución. 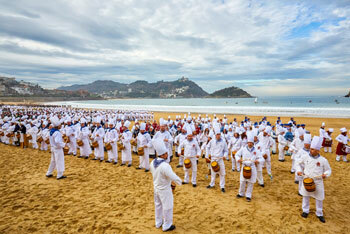 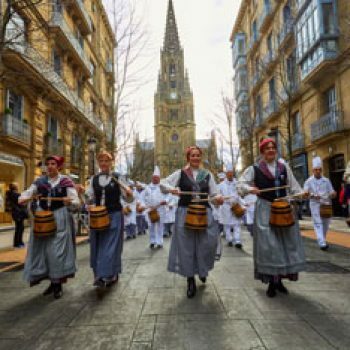 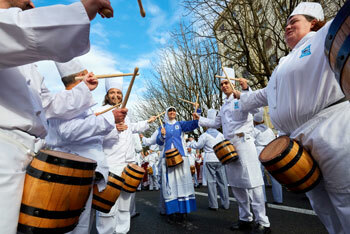 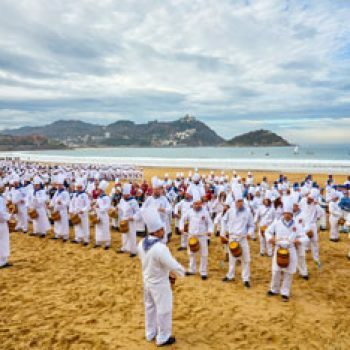 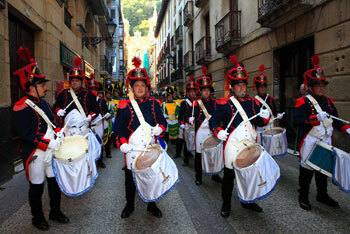 For 24 hours, the city is a fiesta of drums and barrels and the hymns of Sarriegui can be heard all around the city. 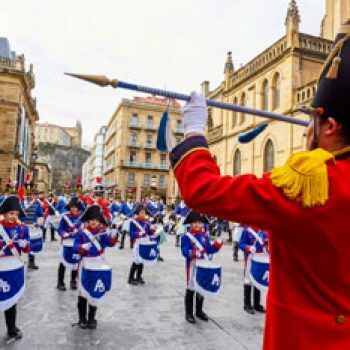 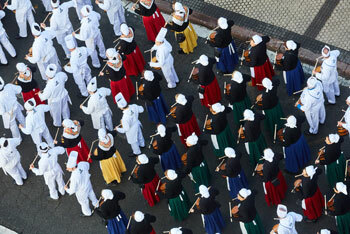 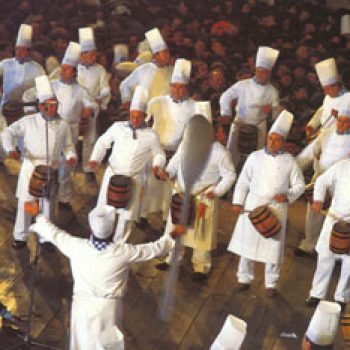 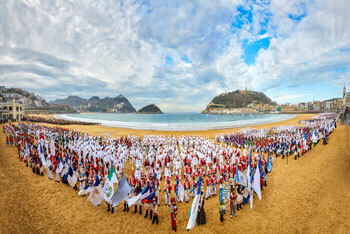 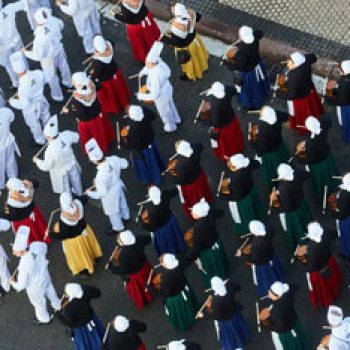 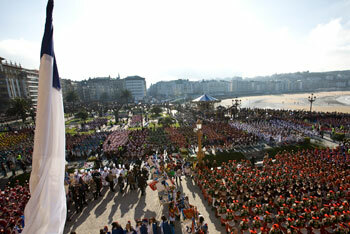 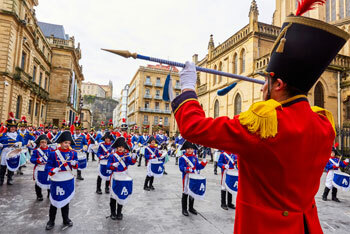 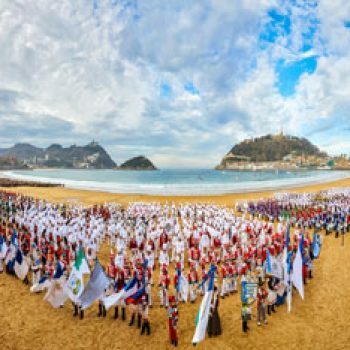 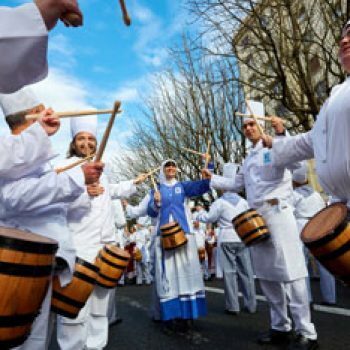 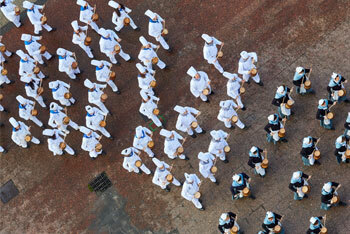 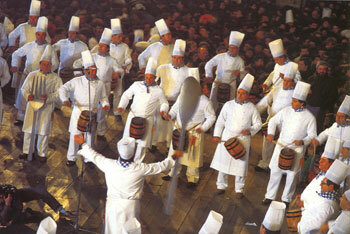 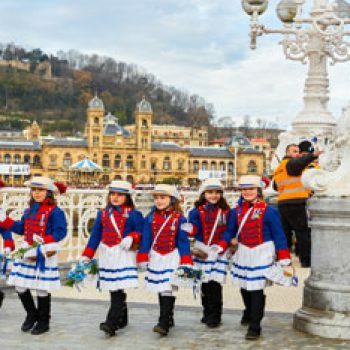 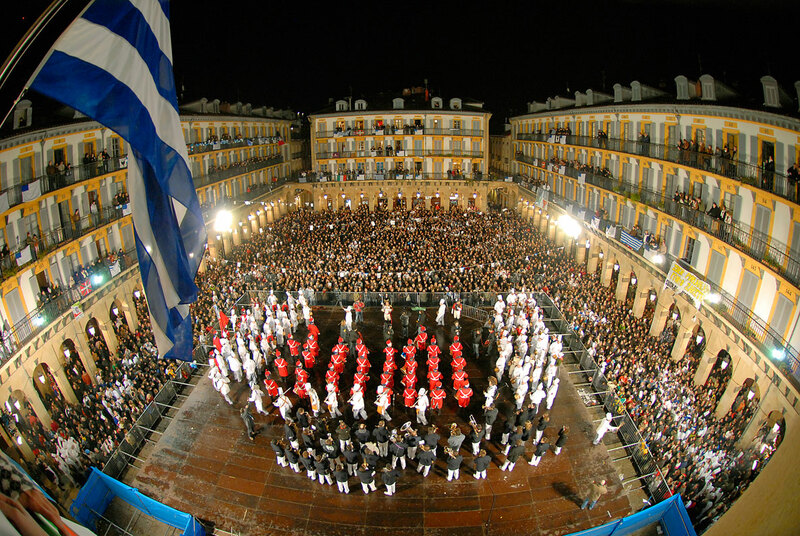 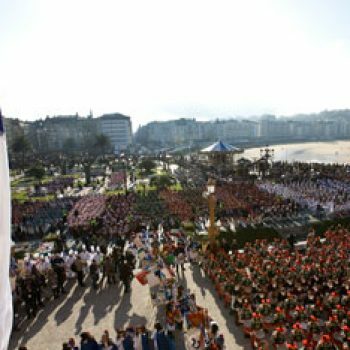 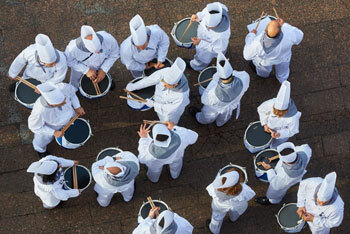 At 24:00 hours the drummers of the Unión Artesana lower the flag to bring the festival to a close. 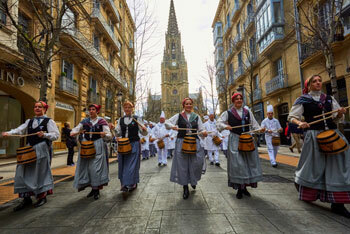 In honour of its patron saint, the city brims over with happiness and exuberance. 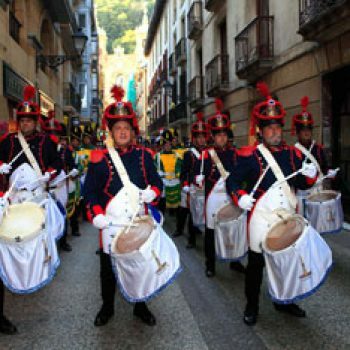 This fiesta has grown over the years, and this is demonstrated by the increasing number of drum processions that take part in the festival. 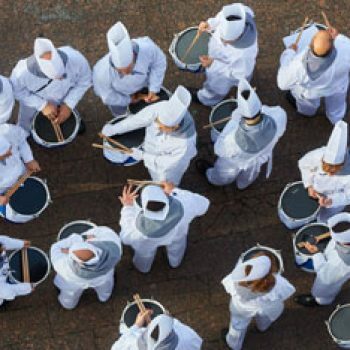 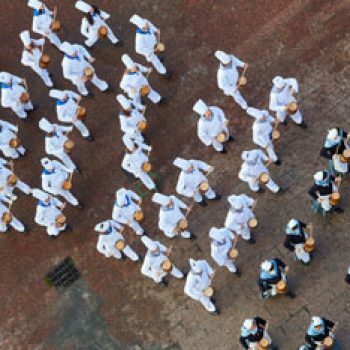 In 1957, there were 10 processions, in 1967, this number increased to 54 and for the 2002 Festival, no less than 85 drum processions announced that they would take part.